We are excited to dive into our first service project as a member of the Des Moines Community. For the month of February, we are encouraging patrons to bring new or gently used coats to any and all RBSSC events. For every coat that a patron brings in, they will get RBSSC swag. Our goal throughout the month is to collect at least 50 coats to donate to a local organization (TBD). At the end of the month we will be hosting a social fundraising event (TBD location) as the culmination for the Project. This will be the LAST CHANCE for donations. All coats donated throughout the month will be counted at the event and a representative from the receiving organization(s) will be invited to attend and accept the coats. 1. Bring a coat - get some swag! All month, every coat! 2. End of month event! 3. We want 50 or more coats! 4. Bring a coat to any and all events! 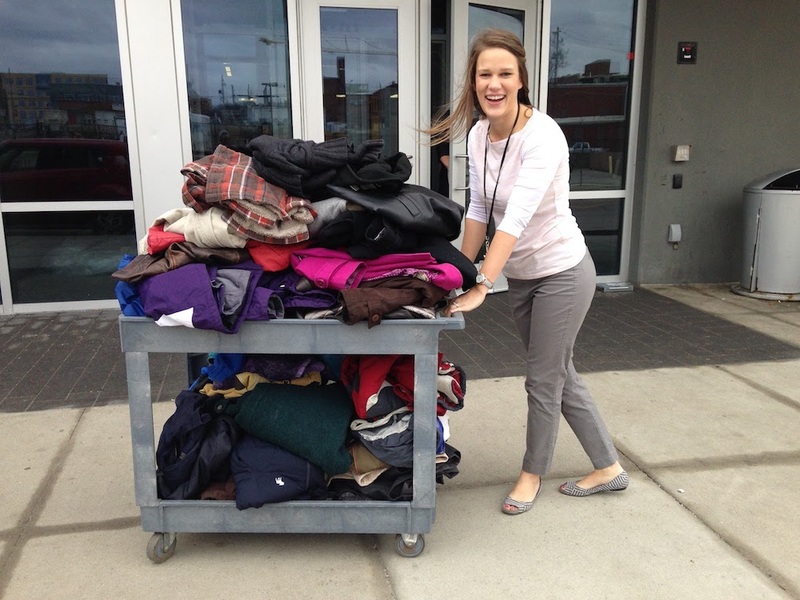 February Coat Drive Success Story! We had the privilege of taking 65 coats to Central Iowa Shelter & Services. Thank you Jorie at CISS for allowing us the opportunity! Pic one - Jorie w/ CISS taking in cart 1 full of coats. Pic two - Katy & Angela of RBSSC out front of CISS. We are headed to Valley Community Center in West Des Moines to benefit their Project Impact. They are looking for gently used shoes/boots and new socks!! Get registered and pile up a couple pairs of gently used shoes and new socks to drop into the Project Impact bucket that will be at the event! Success story! What a great tournament! 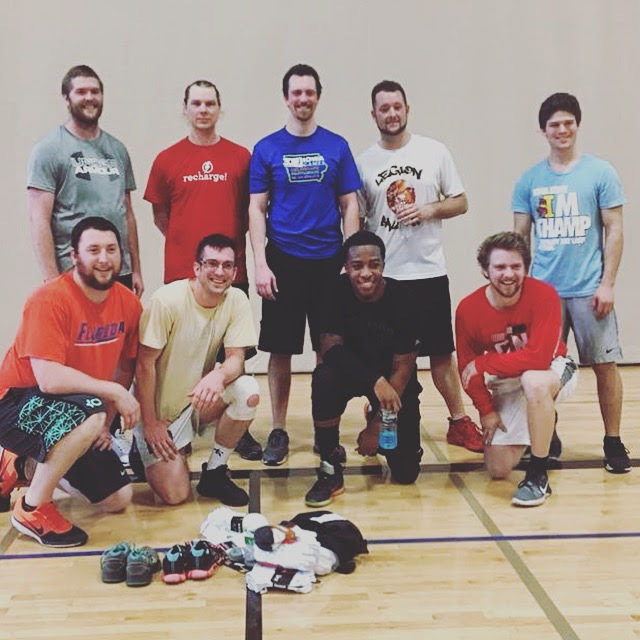 We had 15 guys join us on a rainy Saturday for some charity hoops. We had 10 package of socks and 6 pairs of shoes donated to Valley Community Center & Project Impact! Unfortunately, due to a rainy spring day, our April 29th ride was cancelled. However, on June 17th, we had the perfect evening for a great ride. We collected boxes of Clif Bars, tubs of Gatorade Powder, and gummy treats for remaining training rides and their trek next month. Also, one lucky kid will get to ride in the cool NASA bike jersey and cinch bag due to a generous donation!! Thanks to everyone who came out and good luck kids. Can't wait to see the photos! The third Sunday in May & June Riverbend Sport & Social Club had the honor of hitting the trail with Des Moines' own Joppa Outreach and teams of it's volunteers. Joppa Outreach does amazing things in Des Moines, please check them out here. 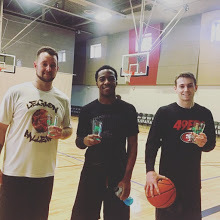 I would also like to thank The Gateway Church for allowing us to join their Sunday teams. It's been a true blessing! We had so much fun during our July Fun Project! 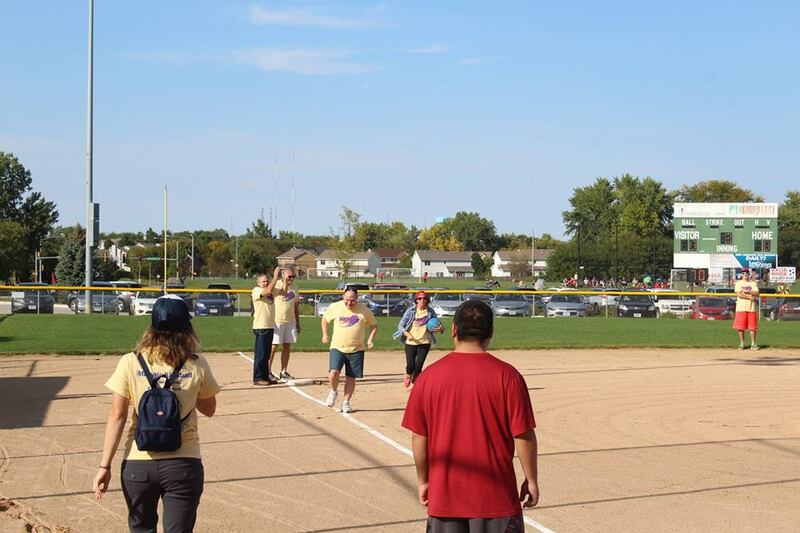 Riverbend Sport & Social Club partnered with Mosaic in Central Iowa for a Summer Celebration! 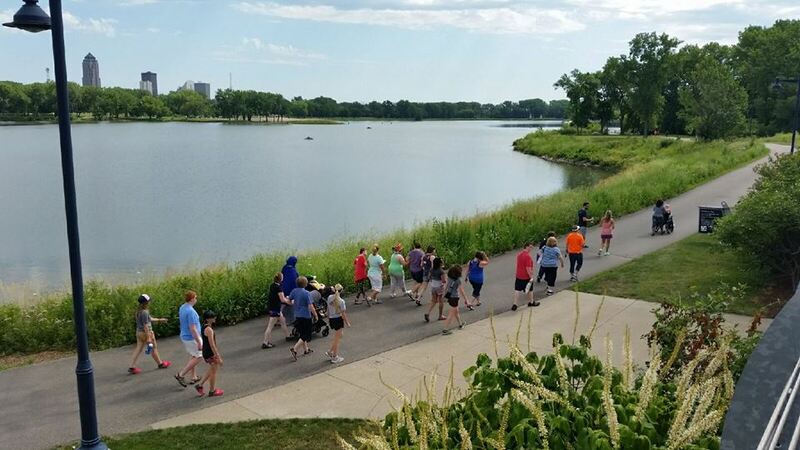 We gathered at the overview terrace of Gray's Lake Park to start the day. We enjoyed a walk/jog/roll around Gray's Lake Park followed by KanJam, bubbles, and Menchies at the overview terrace. It was a beautiful July day and a great time was had by all! If you have any questions about how to volunteer with Mosaic or want to know more please contact Brittney at brittney.ledford@mosaicinfo.org. We also took another trip with JOPPA & The Gateway Church in July. So grateful for each experience. 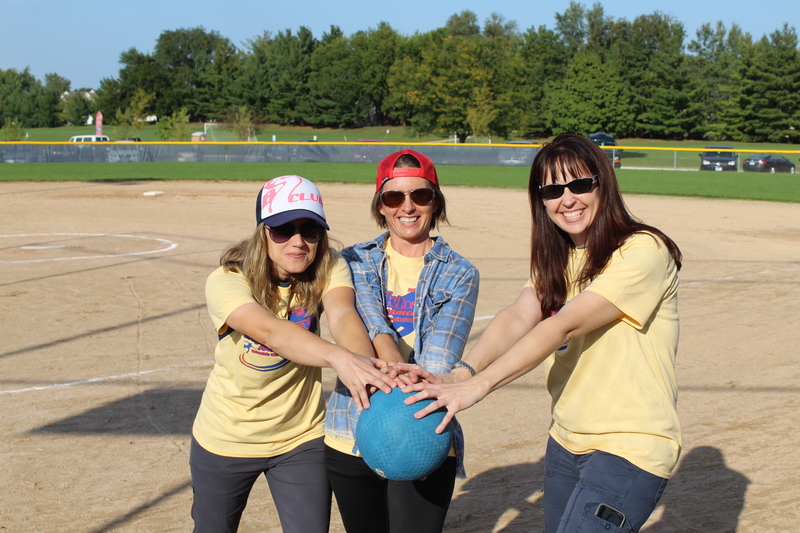 August we had the privilege of running a grass volleyball tournament to benefit Central Iowa Shelter & Services. We collected toiletries and socks for the shelter. We would like to thank Scheels Jordan Creek for their gracious donation of socks for the shelter. 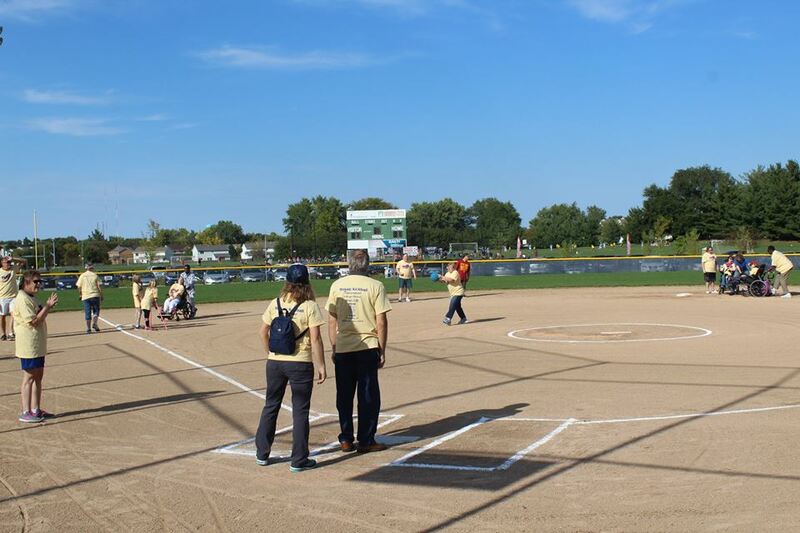 Family, friends, and volunteers gathered at the Urbandale Softball Complex for Mosaic's 5th Annual Kickball Game!! We cheered, got on the field to help & play, and enjoyed some great conversation with people served by Mosaic, Mosaic staff, and Mosaic friends and family. 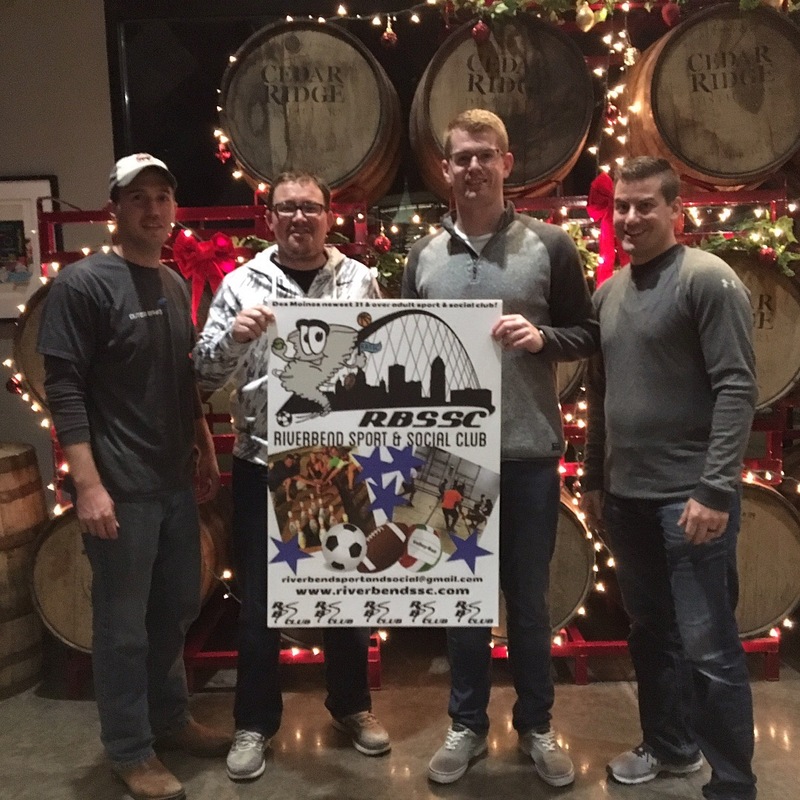 The six RBSSC volunteers helped in quite a few ways. Three cheered loudly at both fields while the other three got on the field to be team captains and field monitor. Such a great day! If you have any questions about how to volunteer with Mosaic or want to know more please contact Brittney at brittney.ledford@mosaicinfo.org. October was a great month of gathering socks and hitting the trail again with Des Moines' own Joppa Outreach. With a wonderful donation from Scheels Jordan Creek along with gracious donation from many Riverbend Sport & Social participants we were able to donate a wonderful bundle of socks, gloves, and stocking caps to three wonderful organizations. Thank you to everyone who contributed! NOVEMBER 2017 - SOCKTOBER CONTINUED, CHARITY BAGS TOURNAMENT, AND JOPPA! 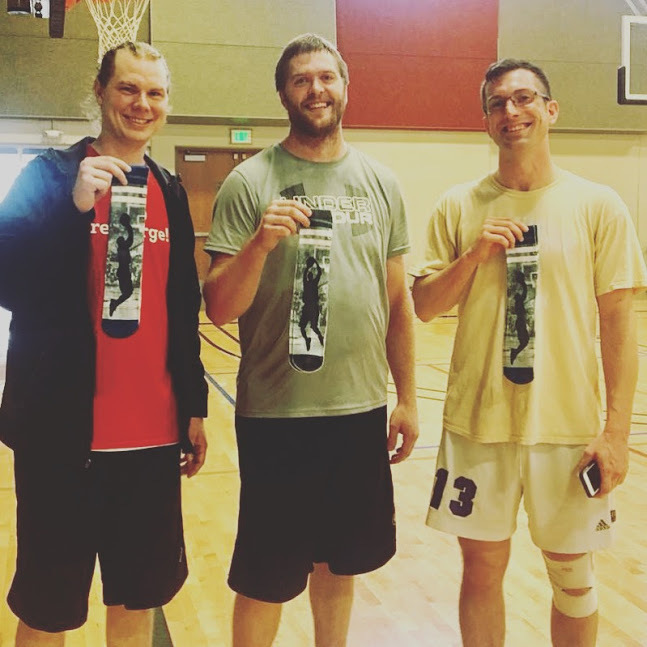 In November we continued our Socktober Sock Drive earning enough socks to take nearly 100 pairs to Joppa Outreach, the Urban Bicycle Food Ministry - Des Moines, and Central Iowa Shelter & Services. Along with those winter supply bundles, we had a blast at our 'First Annual Thanksgiving Indoor Charity Bags Touranement'! 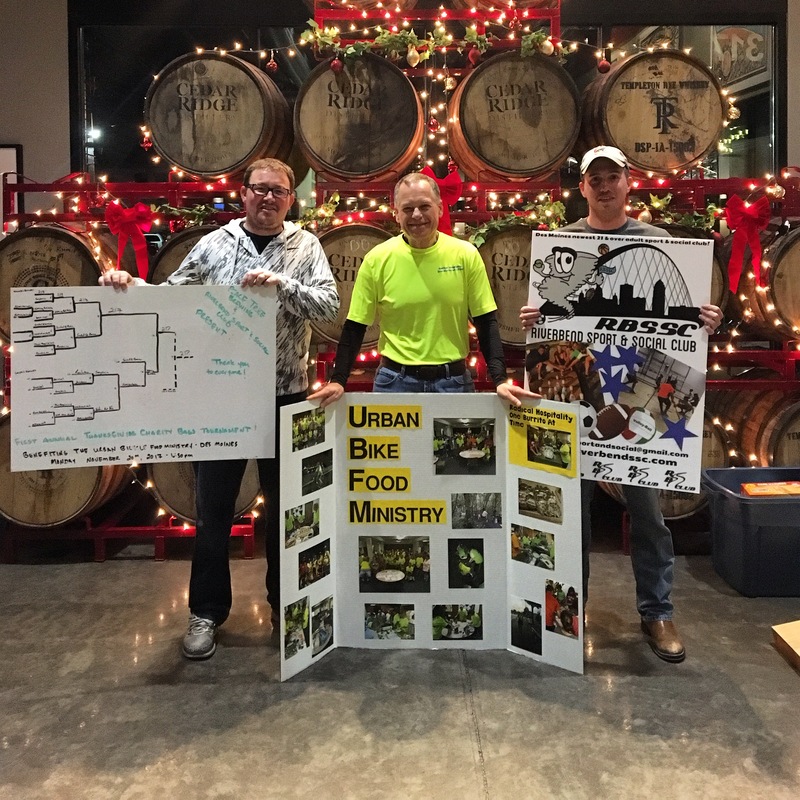 We had a great night at Peace Tree Brewing where 10 teams came out to benefit the Urban Bicycle Food Ministry - Des Moines. Along with the bags tournament, Angela and Katy with RBSSC went to the Thanksgiving Day ride for the bicycle ministry to help deliver socks, build burritos, and clean the kitchen once the group headed out on their routes. Thanks to everyone who donated, came to play, and allowed us to join the fun on Thanksgiving Day! We had a great time at the Thanksgiving Bags Tourney! DECEMBER 2017 - CHARITY BAGS TOURNAMENT BENEFITTING FURRY FRIENDS REFUGE! In December we continued our Charity Bags Tournament series gathering supplies for Furry Friends Refuge. 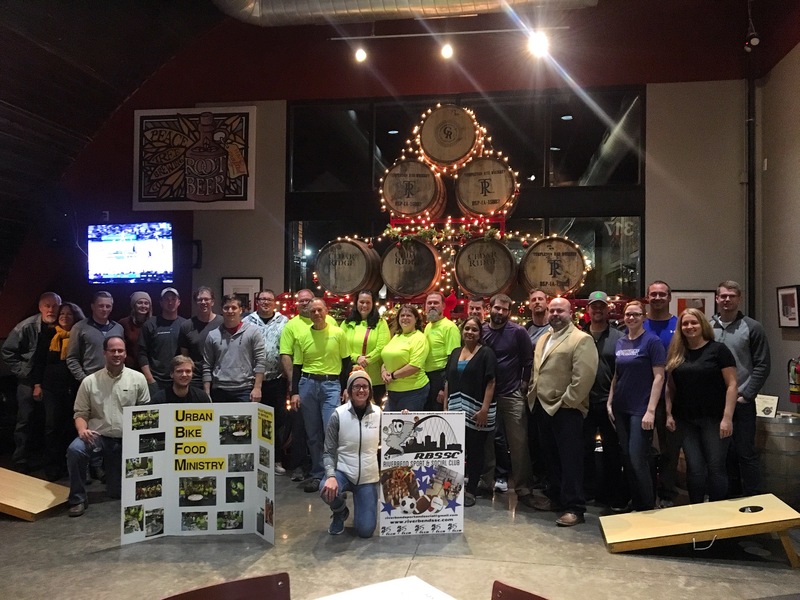 We had a great night at Peace Tree Brewing where 12 teams came out to benefit the Furry Friends Refuge. The year was full of fun and exciting service projects. 2018 is sure to be even better. See the year in full here.